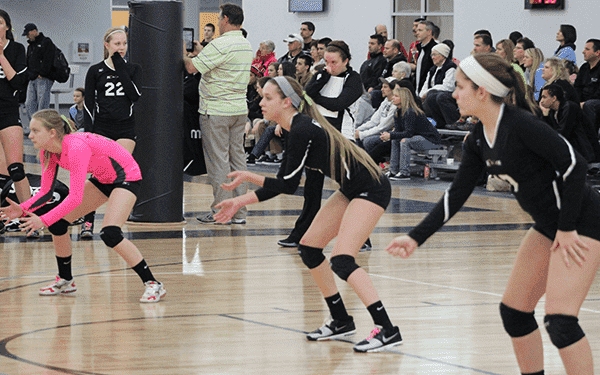 The Nook Volleyball Center offers the region’s finest youth volleyball programs. The Nook’s 60,000-square-foot playing area is home to 10 regulation Conner hardwood courts and four Sport Court surfaces programmed for a variety of volleyball tournaments, competitive and adult rec leagues, camps, clinics, instruction and open play. The Nook creates a vibrant volleyball atmosphere that exudes energy and encourages great play. Advanced players who want to gain more knowledge in the fundamental skills and strategies of their position will benefit from private lessons. Contact us below to schedule a lessons with one of our instructors.